Social skills lessons are an integral part in the development of young children. Here is my interview with Dr. Miri Arie, a child psychologist and expert in the field of social interaction for kids. I am a child psychologist who specializes in children’s social skills. I diagnose as well as provide direct interventions to children, coach parents, and conduct school observations, consult with teachers. On a personal note, I am Israeli, a mother to two boys (ages 3 and 7, and we moved to the US over three years ago for my husband to attend grad school. I became interested in social skills in 1999 when I started to work as an ABA (Applied Behavioral Analysis) therapist for home based interventions for children with Autism Spectrum Disorders (ASD). I was very lucky to work early on with young children with dedicated parents and saw how much improvement children can make with the right support. Since then I worked as a clinical psychology intern at Israel’s leading children’s hospital (Schneider Children's Medical Center) and today I am a post-doctorate clinical fellow at the Pediatric Consultation Center located just north of Chicago. I completed my PhD in clinical child psychology from Tel-Aviv University, Israel, designing treatment for children with Selective Mutism. During a post-doctoral fellowship at Northwestern University, I conducted a research focusing on developing a social skills assessment for children with Autism Spectrum disorders using technologically mediated devices. Why Are Social Skills Lessons for Kindergarten Important? Research show that although academic skills are important, social and behavioral skills are often seen as crucial determinants of children’s success in school. The quality of children’s relationships with both peers and adults are important predictors of their success in school. Social skills are the personal skills needed for successful social communication and interaction. In day- to- day activities these represent the degrees to which children are able to establish and maintain friendships, work and play with others, and terminate negative relationships. As children develop and mature they become more experienced and demonstrate higher level of these skills. What Social Skills Should Kids Have Learned By Grade One? By first grade children are expected to play and work collaboratively with their peers. To do so children need to demonstrate pro-social behaviors, positive attitude, understand the perspective of others, negotiate, and make compromises. By first grade, children are also expected to be independent in their work and in play. I found that it is very common for teachers to set rules such as "if you have a problem ask two friends for help before you approach me". During recess the ratio of adults to children significantly decreases. Implicitly this means that children are expected to identify when they have a problem and actively seek help. By first grade children can identify problems, generate potential solutions (e.g., asking for help, explaining their ideas, taking turns, etc.) and implement them with some supports. In first grade children frequently work in groups. Therefore skills such as: taking other's perspective, compromising, negotiating, are important skills to have. During recess children play with minimal adult supervision. Being a good problem solver increases the likelihood of getting along with peers while achieving your goals. How Can Parents Take Part in Social Skills Activities for Kids? I believe that it is more important to focus on "how to play" rather than "what to play". Spend time playing with your child. Follow your child's lead. Make sure that both of you are having fun. Within a game I recommend presenting gradual challenges, where your child needs to solve social problems. For example, offer a new idea for the game and insist on it. Occasionally break a rule, let your child handle it. If he or she does not handle the situation (bursts into tears, shouts and walks away,...), explain how you feel and offer alternative strategies ("why don't you..."). Talking with your children is as important as playing with them. Tell them about your day, ask them about theirs. Tell them about problems you had and how you solved them (you may need to present it in a simple way, and help them to see how it may relate to their friendships). Remember to show interest and empathy as well as offer ideas for them to do next time. Are There Differences in Social Skills Lessons for Different Countries? Moving from Israel to the US taught me a lot about cultural differences. It is more about expectations and social norms rather than the way you teach it. For example the meaning of "sharing" is different between the two cultures. 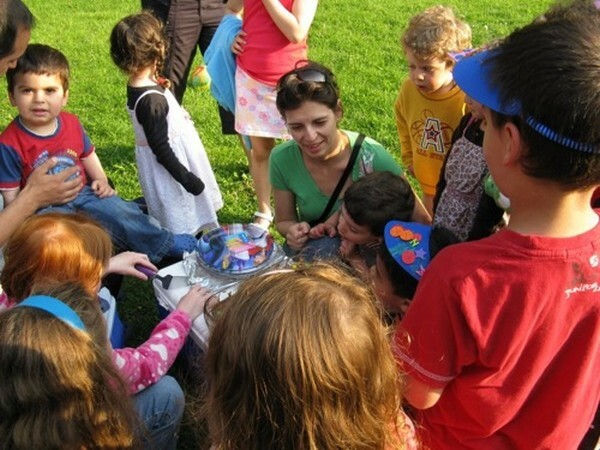 In Israel it is usually means playing together with a toy (cooperative play). While in the US it is more about taking turns (parallel play). Each culture has its norms. Differences in personal space, manners, tolerance to child's rough-and-tumble play were notable. What are the Warning Signs for Children with Social Skills Problems? 1. Anger and increased frustration during social interactions. 2. Preference playing with much younger peers or adults, rather than with their own age group. 3. Playing alone most of the time, despite presence of other children. Where and Who Do Children Learn Their Social Skills From? From a developmental point of view, children spend most of the time with their caregivers (i.e., parents, nannies) and siblings. These are the most influential figures at early stages of life. Children learn communication and socialization first within their core family unit. As children grow, they become exposed to other influences such as peers (school, neighborhood), teachers, and TV characters. It is important to remember that children learn social skills through experience as well as from observing others. What Social Skills Games for Preschoolers Do You Recommend? As I explained before, I believe that the actual games themselves are not the most important in developing social skills. There are other things you could do to nurture friendships and support developing social skills. I recommend helping children schedule regular play-dates with class mates and neighbors. Play-dates promote the forming of close and meaningful friendships. They also allow parents the opportunity to observe how their children play, and provide support and guidance in case of need. Another technique that I find useful is to role play different social situations your child tells you about. Having the child change roles could increase his ability to take perspective, and develop flexible ideas.